In a recent article for trade publication EC&M (Electrical Construction & Maintenance) Magazine, Richard Ladroga, a Director within DeSimone’s Property Loss Consulting and Forensics Practice, provides his insight on power disruptions and the reliability of standby electrical systems in the wake 2017’s catastrophic hurricane season. Damages to electrical infrastructure following concurrent Hurricanes Irma, Harvey, Jose, and Maria resulted in an estimated $200 billion in damage spanning Texas, Mexico, and the greater Caribbean. In response to the unusual cluster of powerful storms, DeSimone’s team of forensic architects, structural, and MEP engineers were some the first on the ground to assess post-hurricane infrastructure damage and property loss across the Caribbean. Read the full article from EC&M Magazine here. 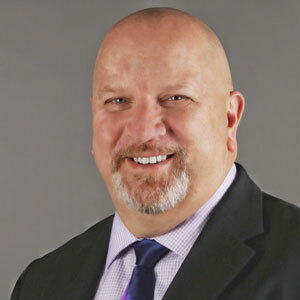 As a Director within DeSimone’s Property Loss Consulting and Forensics Practice, Richard Ladroga provides leadership, management, and technical oversight of the firm’s energy team. With over 28 years of professional experience as an electrical power systems engineer, Mr. Ladroga has earned extensive experience in analysis, design, testing, risk assessment, and forensic investigations of a large variety of projects involving electrical power systems including substation design to 500 KV. Throughout the course of his career, he has also performed electrical system design for power generation facilities, including nuclear, fossil fuels, and hydro; for large scale microwave communication systems; large scale waste water treatment systems; aluminum and steel ore smelting foundries; petrochemical drilling fields and refineries; pulp and paper manufacturing; mining; industrial, commercial, healthcare and universities, and high-rise buildings. Read Richard Ladroga’s full biography.